Eliminate flex in this often overlooked, critical suspension area. 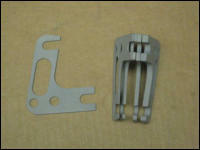 Toe adjuster screw simplifies alignments. Modified configuration eliminates shim stack on lowered cars. Powdercoated, available in black or orange. 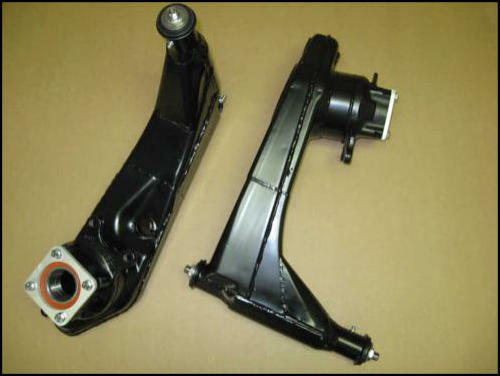 Heavy wall tubes with precision ID reinforce the trailing arms. 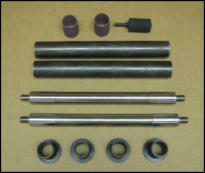 Sanding drum included for tube fitment. Precisely machined bushings. Solid Pivot Shafts. $359.95, 50 state US shipping included. 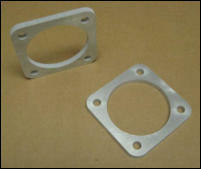 Precisely machined Delrin bushings mounted in powdercoated carrier brackets. 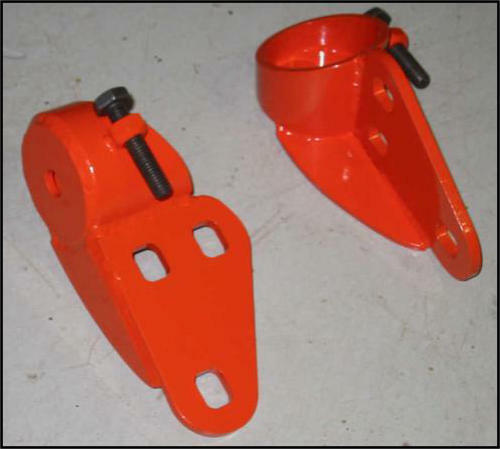 Includes grease fittings as shown. 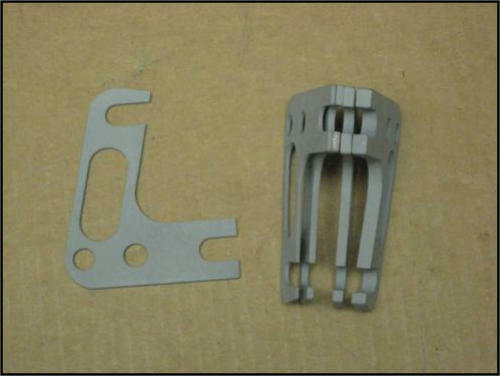 $9.95 Shipping Charge for Shims, any quantity. Be sure to add Shipping to your cart as needed using the button below. Available without Delrin Bushings and Solid Pivot Shafts. Price: With bushings/shafts - $1195 ($1495 with core charge). Without bushings/shafts - $795 ($1095 with core charge).